What’s not for you? Maybe this blog for one. I’m not writing this blog for everyone. I’m writing for people passionate about radio and education. From years of being on the street selling radio advertising, nothing would frustrate me more than a business owner that said his business offered “something for everyone.” Even Walmart doesn’t make that claim and they come pretty darn close to being able to deliver on that positioning statement. Today there are more radio stations on-the-air in America than at any time in broadcast history. Tragically, most commercial radio stations are trying to offer “something for everyone.” It’s been proven that when you try to please everyone, you will end up pleasing no one. I work at a big university. Yeah, we offer “something for everyone.” All universities do. However, in the state of Kentucky, the legislature said that some schools needed to be recognized at being best in some area and those schools would see those programs named a “Program of Distinction.” At Western Kentucky University the School of Journalism and Broadcasting is just such a Kentucky Program of Distinction. WKU is the only college or university in Kentucky so designated in the area of journalism and broadcasting. It also earns additional funding from the legislature. College Magazine named WKU’s School of Journalism and Broadcasting #4 in America. I think in time, institutions of higher education will eliminate those things it does, but isn’t the best at. The days of everyone offering “something for everyone” are over; if they ever really existed. Radio also needs to re-think its role in today’s Internet connected world. Radio was at its best when it was serving the public interest, convenience and necessity. Radio was at its best when it was LIVE and LOCAL twenty-four hours a day, seven days a week. Radio offered something that everyone needs; companionship. Ironically, in a world where every radio station can have its broadcast studio up on a LIVE webcam where listeners can watch the air personalities, most studios are unoccupied. Radio today is show business without the show. Looking at this another way, Comedy Central to me was a one hour network. Jon Stewart’s Daily Show and Stephen Colbert’s Colbert Report were the only two programs I’ve ever watched on the channel. Watched religiously. Did I care if they were in HD? Did I care if they were in color or black & white? Did I care if the picture was a little snowy? Not really. It was all about the content. Content, that was not for everyone. Radio and higher education are both facing similar battles and they are both still operating in the “something for everyone” mode. If you were to ask most people what they thought of radio, they’d probably tell you “it’s OK.” And therein lies the problem. No one is passionately pro or con. But they sure were in the days of Howard Stern or Howard Cosell. Remember this dialog from Howard Stern’s movie Private Parts? Researcher: The average radio listener listens for eighteen minutes. 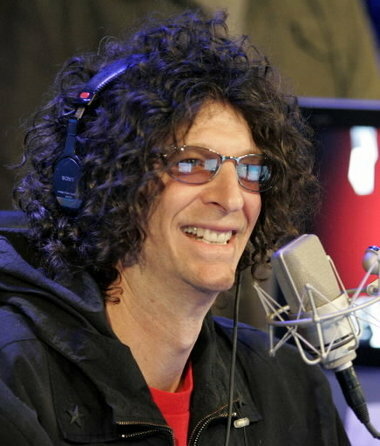 The average Howard Stern fan listens for – are you ready for this? – an hour and twenty minutes. Pig Vomit: How can that be? Pig Vomit: Okay, fine. But what about the people who hate Stern? Researcher: Good point. The average Stern hater listens for two and a half hours a day. Pig Vomit: But… if they hate him, why do they listen? Love Howard or hate Howard, he made people passionate about radio.